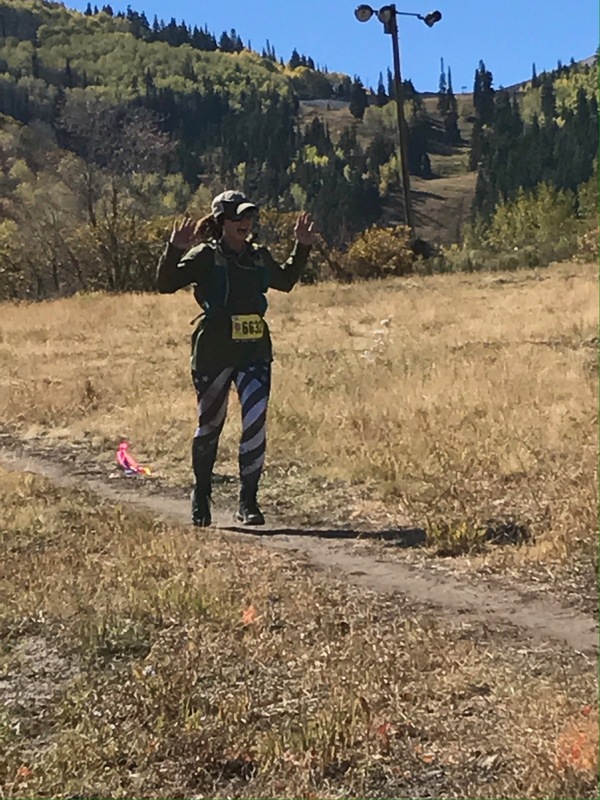 I had six weeks to prepare for a race that was 4 of 5 stars in difficulty, 5/5 for technical terrain, and 5/5 for elevation change. 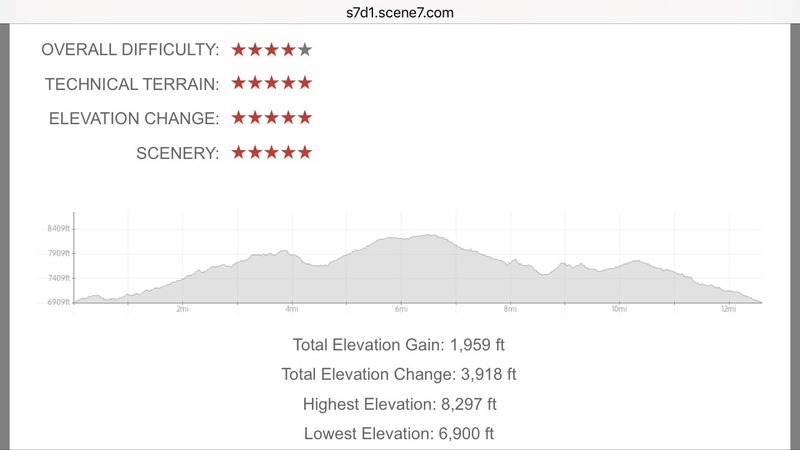 (The race started at 6900 feet and went up to 8300.) I live at sea level. And have I mentioned I don’t run? Them: Are you taking any leave after deployment? Me: I’m going hiking in Utah with some friends. And apparently I’m running a half marathon! Them: Are you gonna train for it? Me: Nah. I’m just gonna show up. September came, and we all flew to Utah for the race. Most of the girls I was with ran longer races on Saturday. My event was scheduled for Sunday morning. It rained and snowed Friday night into Saturday and was still pretty messy outside on Saturday evening, so I planned my outfit around the weather. I opted for my UnderArmour Tactical combat boots instead of my trail shoes, due to my hatred of wet feet. I layered up on top, and donned my Ranger Up women’s American flag pants because, like me, THESE COLORS DON’T RUN. The race started, and we were off! I promptly dumped a few of my snacks out of my pack. I rescued a couple fruit strips from the ground and kept running. The run quickly turned into a walk. The race was mostly single track trail, and the first 6.5 miles were uphill; there would be plenty of time for running later. The first 2 miles were a nice jaunt through the woods. I chatted with a guy from Louisiana; we commiserated about the lack of oxygen at elevation. 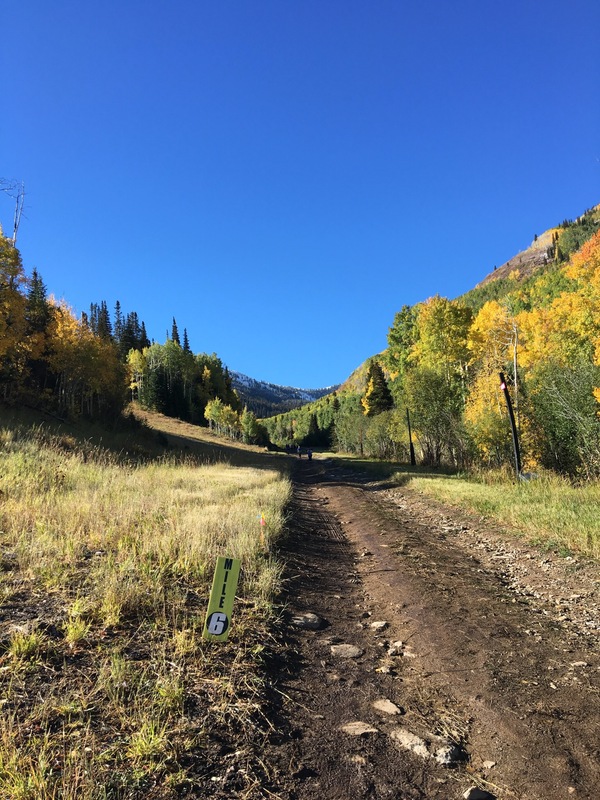 I started sweating profusely, and mentally planned to shed a layer at the aid station at mile 4.2. I told myself no stopping other than designated aid stations. 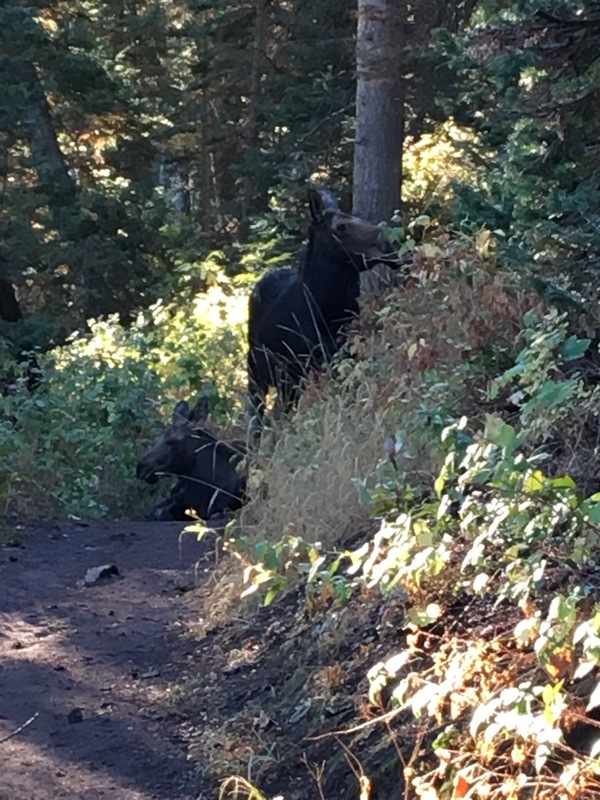 This plan was rudely interrupted by a momma moose and her baby, which had decided to lie down right in the middle of the trail around mile 3. The wildlife created a bottleneck for about 30 runners. I stripped off a layer while we figured out what to do. Eventually, we started bush-whacking it, climbing up the hill through brush and downed trees till we had passed the moose. Fun little adventure! I kept trudging uphill, my gaze fixed downward so I didn’t trip on the roots and rocks. My left hip began to hurt. Aid Station 1 at mile 4.2 came and went. I took electrolytes and a paper towel so I could blow my nose. Mile 5, I channeled my inner Dory fish and told myself to “just keep swimming, swimming, swimming.” Mile 6 greeted me with a painfully long, slow grade uphill. But at least the view was beautiful! At some point on the trail, I came up behind Pumpkin Socks and matched her pace for a while. I walked when she walked, and ran when she ran. Then AC/DC Thunderstruck came on the iPod and I made my move to pass her. I hit Aid Station 2 (at nearly 8300 feet) right at the 2 hour mark. This had me mildly concerned, because there was a 4 hour time cap for the race. Thankfully, sweet glorious Gravity was on my side, as most of the rest of the race was downhill. I started running, and actually ran like 2 whole miles. In a row. (Pretty sure this is like a lifetime PR for distance.) It was amazing how decadently oxygen-rich the air felt at 7500 feet. Around mile 10, I came to a fork in the road. I could see the yellow trail markers going in both directions. A friendly race worker pointed me up and to the right. “Oh goody, another hill,” I said. He replied, “it’s just a small one.” (He lied.) Running stopped and trudging resumed. At this point, my calf started to spasm. It never locked up completely, but it left me with flashbacks of those leg cramps I used to have in the night as a kid. Sadly, my parents weren’t on the mountain with a tube of BenGay; I was going to have to work through it. Aid Station 3 was at the top of that hill. Only 2.6 miles to go! More electrolytes and peanut M&Ms. I started running again. I looped back around to the friendly race worker, and this time he pointed me downhill. My spirits lifted. The end was near! Not as near as I wanted. The last 2 miles were a series of switchbacks, where you did a lot of lateral running but not a whole lot of actual getting down the mountain. Grumble. In mile 12, I tripped on a root but caught myself in time. The guy in front of me turned around to see if I was ok. “Too close to the end to fall down now,” I said. I passed him and kept on running. Not 50 yards later, I was messing around with the iPod so I could skip a song. Caught my foot on a root and immediately face planted. There was no chance to save myself and I stabbed my quad with a rock. 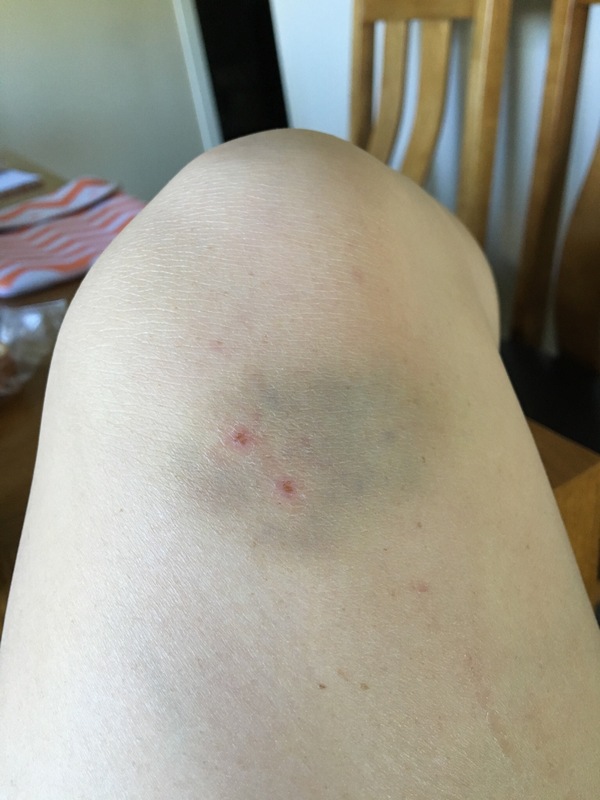 Instant bruise. Awesome. The evil switchbacks carried me back into the woods. I stopped briefly to stretch my calves on a tree trunk. Too close to the end to cramp up now, right? With less than a quarter mile left, the woods ended and it was a straight shot to the finish line. I could see my friends at the finish line cheering me on. 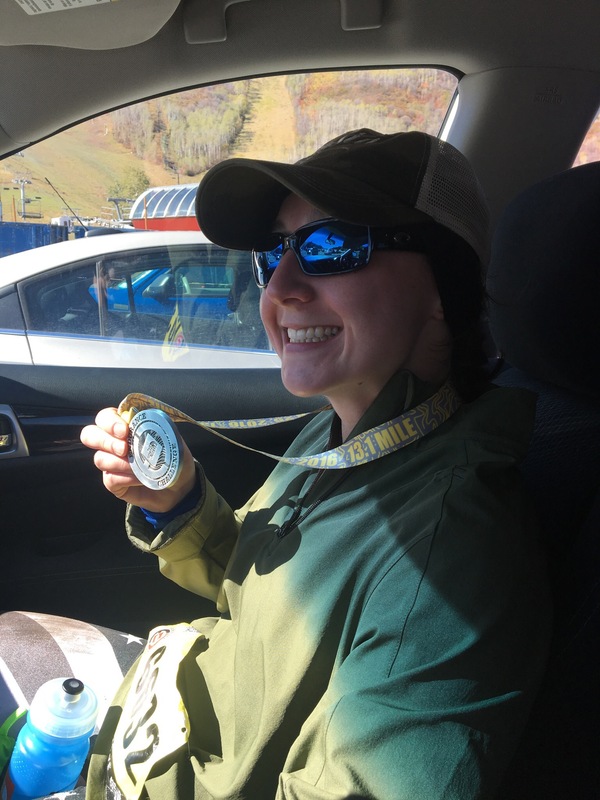 By some miracle, I picked up the pace and stretched out my legs to the finish. I raised my hands triumphantly, not because I won (not even close), but because IT WAS OVER! There were hugs. And a medal. And a really salty jerky bar. 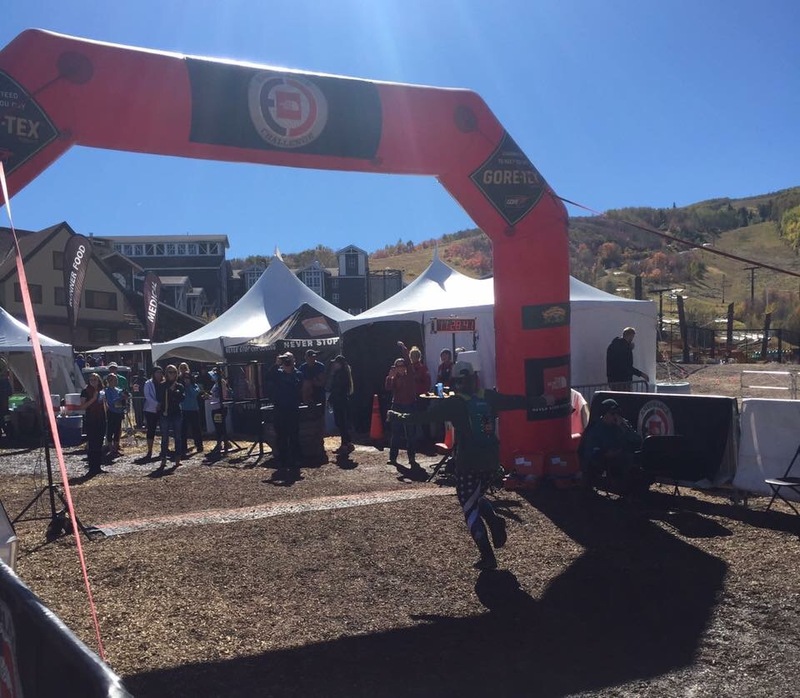 I told my friend, “I have cramps in all the places.” One of the race workers laughed. This was probably one of the dumber things I’ve done in my life, and I don’t plan to repeat it anytime soon, certainly not without training. It took me 3 hours and 26 minutes, but I met my goal: I didn’t quit, and I didn’t die. Not too bad for just showing up! Your story reminded me of a friend of a friend who happened to notice a marathon when he was on his honeymoon overseas. He decided to run it because he had a few hours to kill that afternoon. Unlike your story, he had absolutely no running training. Despite that he finished under the minimum time which is to say before the race organizers closed the race.